This series of posts is about the habits of teaching; the things we do every day; the strategies and attitudes that define our default mode. These are the characteristics of lessons that feel outstanding as soon as you walk in… no tricks, no gizmos, just embedded routine practice. The first was about Probing Questions. This second post is about the general pitch and tone of a lesson. 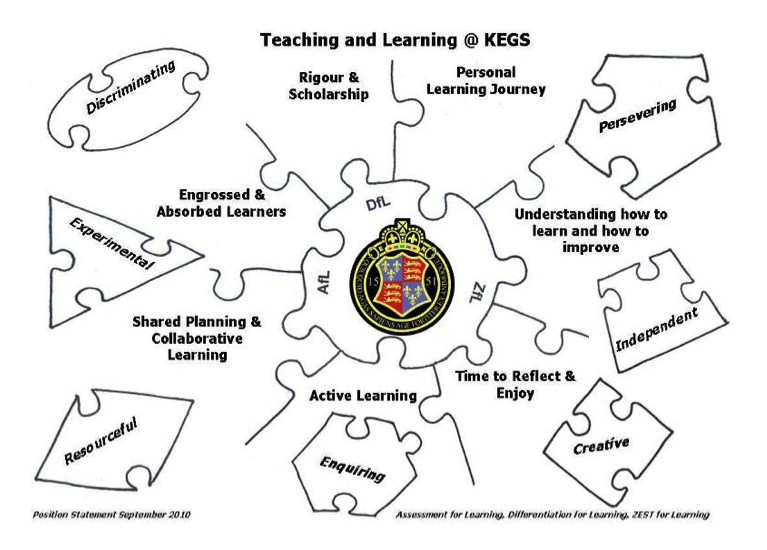 At KEGS ‘Rigour and Scholarship’ is our phrase of the moment, taken from our Zest for Learning jigsaw. It helps us to define the spirit of what we are trying to achieve and where we need to improve. The idea of rigour goes to the heart of what I have described as a ‘Total Philosophy of G&T’. In formal or drop-in observations, it is always true that great lessons are characterised by a high level of rigour. The teacher pitches the material very high; there is no doubt that the most able students in the room are challenged and engaged. The teacher presents a strong command of the subject and uses that to select appropriately probing questions and tasks… this may come across as ‘passion’ but not necessarily. Rigour isn’t about excited enthusiasm; that is not what we’re talking about here. The teacher can respond intelligently to questions and can back-fill or widen discussion with examples, counter-examples and tangential ideas. Students are required to give precise answers, extended answers and answers that focus on the Why and How… not just the What. The use of accurate subject specific language is expected and reinforced. The teacher is prepared to challenge and accept challenge back; it matters that things are right – or that they are examined for truth and the general tone of the lesson is one of searching ever deeper. There is usually a general sense of high expectations in range of areas: concentration span; extended writing; independence and self-help; maturity and sophistication etc. All these things reinforce a rigorous approach to learning in the classroom. The focus is on intrinsic reward and motivation through the learning; rigour is rarely associated with ‘having a bit of fun’.. but actually, in great lessons, students get engrossed in rigorous tasks and enjoy the feeling of making progress. Serious endeavour, rigour and enjoyment are intertwined… a great teacher never dumbs it down or suggests that the ‘fun’ is all the easy stuff. The elements of a rigorous approach. In some circumstances it can be true that relationships and good behaviour management are more important than subject knowledge, but only to a degree and only if we’re setting our sights low. More and more I feel that teachers need to spend more CPD time deepening or refreshing their own subject knowledge. ‘Knowing your stuff’ is an important element of being a teacher whose lessons are routinely outstanding and it shows if you don’t. However, importantly, it isn’t a ‘sufficient condition’; in our house we often refer to ‘Michael Syndrome’, named after a former colleague, (name changed to protect identity) to define the ultra pedantic ‘strictly speaking’ dullness of someone who ‘knows their stuff’ but can’t get more than two kids in the class to take an interest…. On the other hand, a likeable, well-meaning teacher who busks their way through the material, not really knowing how to nail a solid A* answer with confidence, isn’t what you want either. I think we’re entitled to expect all three areas to be outstanding; routinely. This has implications for anyone who teaches new material; a new syllabus or a ‘second subject’; you need to do your own homework and get on top of it. Y7 Geography: Students plotting graphs, being drilled in the precision required; points in the right place; aligning multiple variables in the appropriate columns; starting the line in the exact spot required and getting the decimals places correct. This early training allows them to tackle complex synoptic tasks later on at GCSE and A Level where accurate data analysis is an assumed prerequisite for a range of problem solving challenges. Y12 Maths: Students asked to identify a general formula to cover all possibilities to define the factor theorem, comparing the method with long-division of polynomials where the vertical alignment of each power of x was critical. The ability to identify different equally valid methods was key, whilst also challenging students to select the most effective. Y11 Physics: Students needing to produce a 5 mark answer to describe and explain the function of a transformer… using electromagnetism and concept of induction. The scope for waffle and ‘winging it’ is huge so the teacher has to filter out misconceptions, challenge sloppy use of terms (such as current, potential difference and magnetic field) and ensure all students can relate the theory to the practice. Y12 History: Students reading and discussing the latest examiner’s report for the American Civil War sources paper, to see how subtle the requirements are in terms of using prior knowledge in conjunction with interpretations of sources to answer a question; then applying this to a sample question. Y9 Art: Students set a challenging multimedia project with a high degree of freedom but also a tight brief in terms of the progression of ideas from the B.A.S.H. stimulus. The rigour comes through the pace expected, the depth of thinking behind the composition and the level of detail in the application of various painting techniques. Y13 Economics: Students in pairs identifying the key consequences for global businesses of reducing interest rates; sharing the answers and defending their positions under questioning. The rigour comes from expecting students to weigh up the relative effects of competing trends and come to a conclusion, again, using appropriate terminology and citing relevant examples. Y9 German: As profiled in this post, students given a translation task, using various resources to identify the grammatical features of a sentence and the required word endings. A strong understanding of cases is developed from Y7 to allow students to experiment and explore new and unknown phrases. Y7 English: students discussing structure and imagery in The Lady of Shallot, following a student presenting an extended exposition of the key elements of one section. The rigour comes mainly through probing questioning.. and challenging soft answers that don’t go far enough or are too sweeping. I could go on….. The point is that in each case, the level of the work is pitched right up to the top; the expectations of students in terms of work ethic are also very high and the focus on detail, accuracy and precision is strong. Rigour in this context goes hand-in-hand with creativity, open-endedness and experimentation; in fact, the more rigorous the general approach is, the more confident both teachers and students are to then go ‘off piste’; conversely, if the rigour is lacking, everyone feels insecure in the whole process and no-one ventures anywhere near the edge. Rigour is part of a great teacher’s attitude. You don’t settle for sloppy thinking, mediocrity, half-hearted writing or incomplete answers. 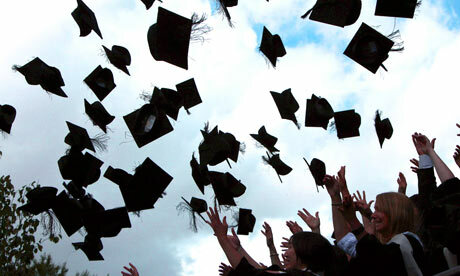 You can’t do a bit of rigour every now and then; it is part and parcel of every lesson, relentless and automatic. This another great post Tom, thanks for sharing it with us. I come from a national policy background that focused mainly on STEM subject expertise via ITE and CPD course ‘rigour’ (not necessarily the current DfE focus on all entrants having 1sts or 2i’s, which they have had to adapt to). But I actually prefer your diagram and wonder whether if you can’t actually manage a classroom you are doomed as a teacher, however good the other 2 aspects are? I agree; you have to be able to manage a classroom; it is the kiss of death if a teacher cannot do it. However, often this is achieved through the application of the other two; good pedagogical strategies secure engagement that support good behaviour. In truth, you can’t really separate them. Give clever kids a teacher who can’t challenge them.. it’s the same. All go together. I am afraid that I do not see that rigour is key here. Expectation elevation is more appropriate, and that does not require rigour. The problem with rigour for many is that is can damage the relaxed state of mind that is optimal for learning. Rigour that requires precise answers and rejects wrong answers may be reaching high, but not allowing failure can suppress learning. Making mistakes is vital to the learning process – if pupils do not feel that mistakes are tolerated, that is very going to make them defensive, and this is not conducive to optimal learning. Rigour that narrows scope, denying any exploration off-topic is also not desirable as the material is then perceived as strictly owned and mandated by the teacher. A sense of pupil course ownership is vital to good learning. I don’t really agree at all; a rigorous approach is about exploring all kinds of ideas and alternatives thoroughly. It isn’t about narrowing; it is about depth. All great works of art or design have been conceived and executed through a rigorous process of examining ideas. Excellence in any field like Maths, or creative writing or skateboarding, requires rigour… it suggests discipline, attention to detail – but not aversion to risks. Thanks for replying. It looks like my definition of the word rigour has been tarnished over the years. I checked the dictionary and of course now see it is more about thoroughness than involving pressure or formalities – the flavours that have coloured my understanding of the word. It often happens that the general meaning of words gets distorted. Anarchy is a prime example – it has acquired a very negative connotation, yet can be entirely appropriate and benign as it simply means leaderless. Apologies for the misunderstanding, but I do add that rigour (as I now understand it) is not always desirable – much creativity operates in a non-judgement, light, flowing manner. Thoroughness is applied when ideas are solidified. Interesting perspective but I don’t really see the issue. In lessons that I feel are not quite hitting the mark, often it is a lack of rigour that lets things down. In my teaching, it makes a lot of sense; we don’t just bandy words around like energy, particle, heat and force; they have a precise meaning that students need to learn to use correctly. Rigour! … is there a better word? Certainly there are times when precision counts but as a general way to describe learning and the experience of schooling we want for our students I say it’s a poor and narrow description. I get the idea of challenging, wicked problems but rigour also suggests a very strict approach and leaves little room for creativity and serendipity. Those aren’t the only things we want for our students either. But my concern is these kinds of terms often inherintly suggest a very specific “back to the basics” “teach these kids a Lesson” type schooling that frankly misses the mark. I understand what you’re saying I just think that word has too many bad connotations to those outside of education. Relevant, authentic and engaging might be a better way to describe what we want as a general framework. Thank you for this excellent post. Two related points strike me. First, the example and inspiration of the committed teacher are central to the model of rigour you suggest above, which corresponds to John Hattie’s Visible Learning meta studies. Secondly, as with the comments about the use of the very term ‘rigour’ above, students’ understanding and then mastery of a vocabulary and language appropriate to that lesson and subject are vital. I use vocab books in L6 and U6 History lessons for this very reason. Students have to know how to be rigorous and intelligent in their own terms, without language getting in the way: it’s a sat nav helping them around the road blocks and dead ends of their understanding of a topic. Although perhaps sat nav is not a great analogy…must be more rigorous. 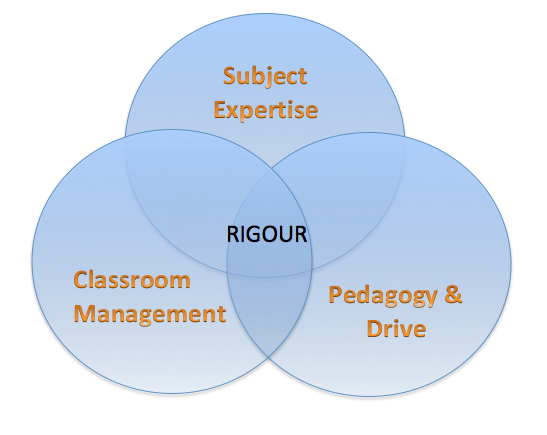 I like your use of “rigour” – I think it’s starts with the teacher; if we impose this “rigour” on ourselves, our students can’t help but respect and respond to it. The “rigour” that we impose on ourselves shows our level of commitment and respect for our students; it is a daily attitude of mind and behaviour, starting with us. I read this & the subsequent comments with great interest. ‘Rigour’ strikes me as one of those words which has been politically-damaged, a stick sometimes used to beat teachers who are media-perceived as lazy & lacking the rigour of days-gone-by. The one part of your post that dismayed me is nothing to do with your ideas but linked instead to the current fiasco we’re facing as English teachers. One of the ways in which you characterise rigour is knowing what a nailed on A* answer looks like. I thought I did but now I question that – following this January’s GCSE Language paper we won’t even know what an A* is because the results will be marks only, not grades. I hate it that such machinations remove an aspect of my ability to be rigorous. I suppose what I’ve realised through the course of this lengthy response is that it’s my responsibility to keep pushing against the irregularities of the system and to create a sense of rigour which isn’t damaged by the paradox of a system which simultaneously prevents the very thing it demands. I’ve been re-reading this post and the comments and agree with the concerns about the way current Ministers, Ofqual and Ofsted use the term ‘rigour’, almost like a solution to any education problem that they come across. I think that you Dawn are absolutely right about teachers fighting back and claiming the word for themselves. Tom is trying to facilitate this for you. Fantastic article – will be sharing with colleagues. Reblogged this on Always learning. Fantastic blog on the importance of challenging in the classroom.